Mumbai: India’s benchmark index Nifty 50 has struck another milestone. Total Asset under Management (AUM) of the Nifty 50 ETFs has surpassed the Rs. 10000 cr mark. First ETF in India was launched in December 2001 which was based on Nifty 50. Currently there are 13 ETFs on Nifty 50 index listed in India. “India is catching up with the global trend in ETF segment, where ETF industry is worth USD 3.2 trillion as on June 30, 2016. NSE is talking about ETFs for more than a decade now, with hundreds of roadshows completed across the length and breadth of the nation. We are pleased to see a surge in investors’ interests in ETF products”, said Ms Chitra Ramkrishna, MD & CEO, NSE. A total of 35 out of 45 Equity ETFs tradedin India are benchmarked to Nifty family of indices which shows the widespread acceptability of Nifty indices. NSE is continuously engaging with investors to ensure a larger participation from the retail segment in ETF products. The exchange has conducted around 950 awareness programs for retail investors in the current calendar year. Many such programs were conducted in association with the market regulator SEBI and benefits of ETFs were also discussed along with other topics related to investors’ awareness etc. There is a good demand for Nifty 50 ETF amongst ETF issuers in the international markets also. Today, Nifty 50 has the highest number of India focused ETFs outside India. "India specific products tracking Nifty indices are very popular among the global investors. In the past one year, we have seen very strong demand for Nifty 50 based products in Asian countries including Korea, Taiwan, Japan and Hong Kong.”, said Mr. Mukesh Agarwal, CEO of IISL, an NSE group company. ETFs covering Nifty family of indices are traded in 19 exchanges covering 16 countries. Taiwan Stock Exchange is one of the latest exchanges to offer ETFs on Nifty 50. NSE’s subsidiary, IISL, constructs and maintains such indices. IISL is currently working on several other indices which can be used for third party products like ETFs. ETFs are group of securities which are traded like individual stocks on an exchange. ETFs can track equity indices, bonds, commodities etc. A small time retail investor can buy ETFs for as little as about Rs.100 and these can be then bought and sold as a share on the exchange with a minimum trading lot of one unit and carry lower management costs when compared to mutual funds. In its 20 year history, NSE has transformed the capital market, based on technology, innovation, high standards of governance and management practices. NSE's business practices and high levels of integrity have earned it the trust of the financial markets worldwide. 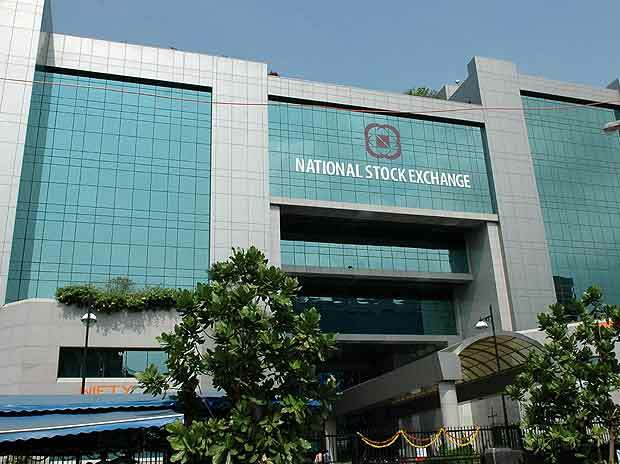 Besides being a platform of choice for all exchange traded financial products in India, NSE’s flagship index, the Nifty 50, has become a benchmark national level economic parameter. Since inception, the exchange has been covered extensively by global media and has won many accolades as recognition of this remarkable journey. India Index Services & Products Ltd. (IISL), an NSE group company, was setup in May 1998 to provide a variety of indices and index related services for the capital markets. IISL is India's first specialised company focused upon the index as a core product. IISL maintains more than 100 equity indices comprising broad-based benchmark indices, strategy indices, thematic indices, sectoral indices and customised indices. IISL also maintains fixed income indices based on Government of India bonds. Many investment and risk management products based on IISL indices have been developed in the recent past, within India and abroad. These include index based derivatives traded on NSE, Singapore Exchange Ltd. (SGX), Chicago Mercantile Exchange Inc. (CME) and Osaka Exchange Inc. (OSE) and a number of index funds and exchange traded funds. The flagship 'Nifty 50' index is widely tracked and traded as the benchmark for Indian Capital Markets.